Disclaimer: while no gore is present in the following videos, the videos captured depict violent car accidents. Discretion is advised. This video is one of the most visceral videos of extreme vehicle collisions found on youtube. An out of control SUV forces a massive commercial truck to swerve head on into a tiny Kia. This video footage is remarkable. For a few minutes we watch a police car moving in and out of traffic. Once the officer reaches the destination, the car swerves into oncoming traffic to stop a driver dangerously travelling the wrong way. This is a recording of a Fox News broadcast showing amateur video of a truck headed the wrong way on the interstate for a while until they crash head on into another vehicle. The broadcast includes helicopter footage of the aftermath. 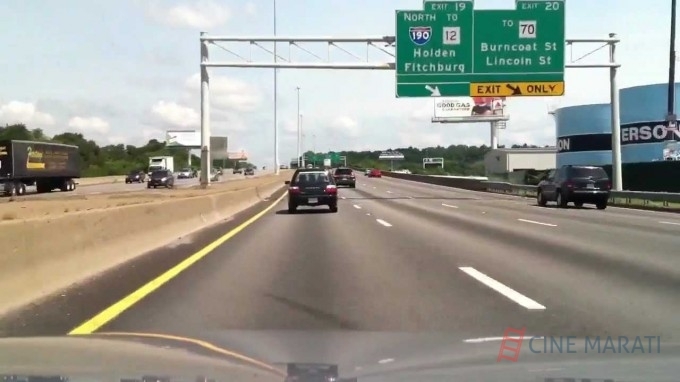 This video is almost a replica of “Wrong Way Driver! Head-On Crash on Tape! Los Angeles” except the video has a clearer shot of the eradicate driver and the ultimate collision. In the slow motion repeat, the crash looks powerful with debris sailing in the air. The title of this viral extreme vehicle collision is not hyperbole. A couple in a truck films their crash as they smash into a slow moving truck hauling a trailer. Push pause just before the impact and the driver seems to be talking on a cellphone and completely oblivious. This frightening video will make you gasp. A large vehicle suddenly flies across a secure barrier and plunges sideways into the car filming. A note states the video was filmed in Russia east of Moscow. Youtube is awash in intense footage of crashes across Russia. A video titled “Dashcam Wrong Way Driver Has Head On Collision With Cop” is exactly as advertised. The video is nearly anti-climatic in speed but bizarre. It shows a driver willingly plowing head on into police with lights flashing. This footage is notable for its shocking crash and the number of people standing around who are nearly killed. Our last video is gut wrenching. A speeding cement truck flips on its side and slides head on into a minivan with a dash cam. This post was provided courtesy of All-West Glass Ltd., an auto glass repair company from Edmonton.